Property Location With a stay at Hotel Ciutat de Granollers in Granollers, you'll be close to The Constable's House and Circuit de Catalunya. This 4-star hotel is within close proximity of La Porxada and Granollers Town Hall.Rooms Make yourself at home in one of the 111 air-conditioned rooms featuring LCD televisions. Complimentary wireless Internet access keeps you connected, and satellite programming is available for your entertainment. Private bathrooms with shower/tub combinations feature complimentary toiletries and hair dryers. Conveniences include phones, as well as safes and desks.Rec, Spa, Premium Amenities Relax and unwind with massages, body treatments, and facials. If you're looking for recreational opportunities, you'll find outdoor tennis courts, an outdoor pool, and an indoor pool. Additional amenities include complimentary wireless Internet access, wedding services, and a television in the lobby.Dining Satisfy your appetite at the hotel's restaurant, which serves lunch and dinner. Dining is also available at a coffee shop/café, and room service (during limited hours) is provided. Relax with a refreshing drink at one of the 7 bars/lounges.Business, Other Amenities Featured amenities include a business center, express check-in, and express check-out. This hotel has 10 meeting rooms available for events. Free self parking is available onsite. Property Location Located in Barbera del Valles, Campanile Barcelona is convenient to Cerdanyola Art Museum and Autonomous University of Barcelona. This hotel is within close proximity of Science Park of El Valles and Parc Central del Valles.Rooms Make yourself at home in one of the 212 air-conditioned guestrooms. Satellite television is provided for your entertainment. Conveniences include safes and desks.Rec, Spa, Premium Amenities Take in the views from a rooftop terrace and a garden and make use of amenities such as complimentary wireless Internet access.Dining Enjoy a satisfying meal at a restaurant serving guests of Campanile Barcelona. Quench your thirst with your favorite drink at a bar/lounge.Business, Other Amenities Featured amenities include a business center, express check-in, and express check-out. Event facilities at this hotel consist of conference space and a meeting room. Self parking (subject to charges) is available onsite. Property Location Located in Castellbisbal, Sercotel AS Hoteles Porta de Barcelona is close to Sant Bartomeu Bridge and Vicenc Ros Municipal Museum. This hotel is within close proximity of L'Enrajolada - Santacana House Museum and Hospital Sant Joan de Deu.Rooms Make yourself at home in one of the 50 air-conditioned guestrooms. Complimentary wireless Internet access is available to keep you connected. Private bathrooms with showers feature complimentary toiletries and hair dryers. Conveniences include phones and desks, and housekeeping is provided daily.Rec, Spa, Premium Amenities Make use of convenient amenities such as complimentary wireless Internet access, gift shops/newsstands, and a picnic area.Dining Satisfy your appetite at a coffee shop/café serving guests of Sercotel AS Hoteles Porta de Barcelona. Quench your thirst with your favorite drink at a bar/lounge.Business, Other Amenities Featured amenities include a computer station, complimentary newspapers in the lobby, and a 24-hour front desk. Free self parking is available onsite. 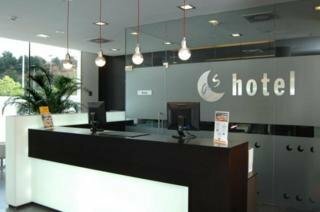 Property Location With a stay at ibis Barcelona Montmelo-Granollers in Granollers, you'll be close to Circuit de Catalunya and L'Adoberia Historical Interpretation Center. 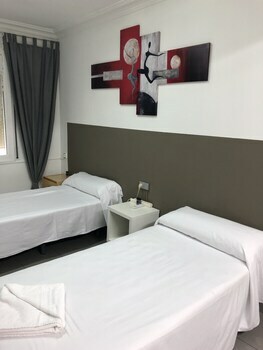 This hotel is within close proximity of Granollers Church and Granollers Town Hall.Rooms Make yourself at home in one of the air-conditioned guestrooms. Complimentary wireless Internet access is available to keep you connected. Conveniences include safes, and irons/ironing boards can be requested.Rec, Spa, Premium Amenities Enjoy recreation amenities such as bicycles to rent or take in the view from a terrace.Dining Enjoy a satisfying meal at a restaurant serving guests of ibis Barcelona Montmelo-Granollers. Quench your thirst with your favorite drink at a bar/lounge.Business, Other Amenities Featured amenities include complimentary newspapers in the lobby, dry cleaning/laundry services, and a 24-hour front desk. Free valet parking is available onsite. Property Location In the heart of Les Franqueses del Valles, Sidorme Granollers is close to The Constable's House and La Porxada. 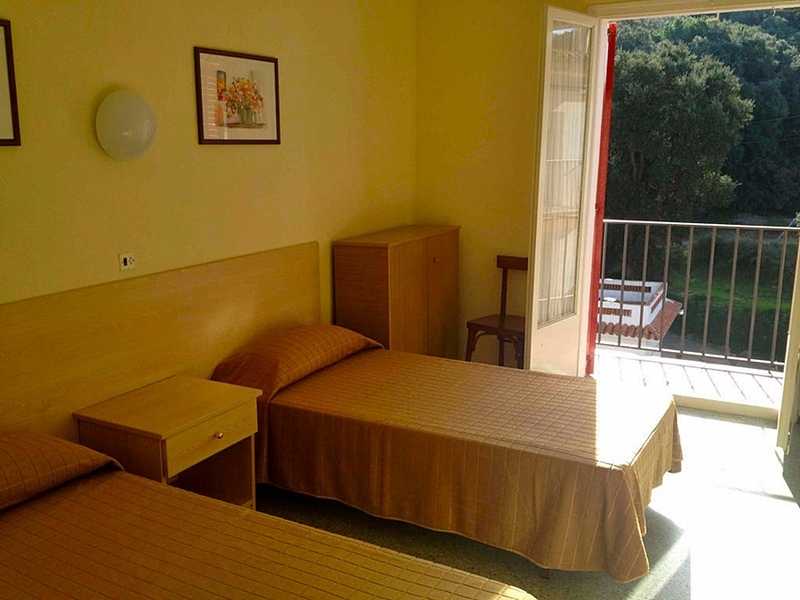 This hotel is within close proximity of Granollers Town Hall and Granollers Church.Rooms Make yourself at home in one of the 96 air-conditioned rooms featuring LCD televisions. Complimentary wireless Internet access keeps you connected, and cable programming is available for your entertainment. Bathrooms have bathtubs or showers and hair dryers. Conveniences include desks, as well as phones with free local calls.Rec, Spa, Premium Amenities Make use of convenient amenities such as complimentary wireless Internet access, a television in the lobby, and tour/ticket assistance.Dining Buffet breakfasts are available for a fee.Business, Other Amenities Featured amenities include a business center, a 24-hour front desk, and multilingual staff. Planning an event in Les Franqueses del Valles? This hotel has facilities measuring 25 square feet (2 square meters), including a meeting room. Free self parking is available onsite. Property Location When you stay at Hotel Sidorme Mollet in Mollet del Valles, you'll be in the business district and close to Abello Museum and Circuit de Catalunya. This hotel is within the vicinity of Vallromanes Golf Club and Vallromanes Pitch and Putt.Rooms Make yourself at home in one of the 80 air-conditioned rooms featuring LCD televisions. Complimentary wireless Internet access is available to keep you connected. Bathrooms have showers and hair dryers. Conveniences include desks, as well as phones with free local calls.Rec, Spa, Premium Amenities Make use of convenient amenities, which include complimentary wireless Internet access and concierge services.Dining Buffet breakfasts are available daily for a fee.Business, Other Amenities Featured amenities include a business center, express check-out, and a 24-hour front desk. Free self parking is available onsite. Property Location With a stay at Hotel Papi in Malgrat de Mar, you'll be connected to the airport and minutes from Levante Beach and Parc Francesc Macia. This hotel is within close proximity of Santa Susanna Beach and Les Caletes Beach.Rooms Make yourself at home in one of the 231 air-conditioned guestrooms. Rooms have private balconies. Wireless Internet access (surcharge) keeps you connected, and satellite programming is available for your entertainment. Bathrooms have bathtubs or showers and hair dryers.Rec, Spa, Premium Amenities Dip into one of the 2 spa tubs or enjoy other recreational amenities including a complimentary water park and a waterslide. This hotel also features complimentary wireless Internet access, an arcade/game room, and a television in the lobby.Dining Enjoy a satisfying meal at a restaurant serving guests of Hotel Papi. Relax with your favorite drink at a bar/lounge or a poolside bar. A complimentary buffet breakfast is included.Business, Other Amenities Featured amenities include high-speed (wired) Internet access (surcharge), a business center, and a computer station. 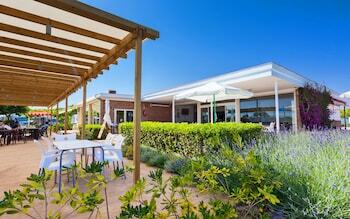 Planning an event in Malgrat de Mar? This hotel has facilities measuring 861 square feet (80 square meters), including a meeting room. Self parking (subject to charges) is available onsite.